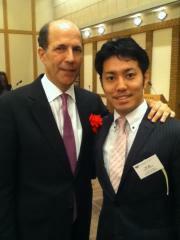 28-year-old business person from Kobe City. Curretly attend the Wharton School to pursue MBA. Prior to entering Wharton, worked for Morgan Stanley (IBD/Alliance Office) for 5 years. 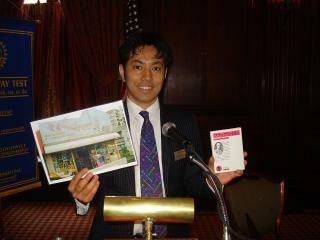 When in Waseda University, established and managed a childcare-related company with JPY 30MM (approx.USD 300K) capital. 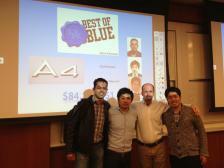 Out team became "the Best of Blue teams" in the Marketing Simulation Course, yay! Trying to satisfy erratic consumer demand should have something to do with dating, which is much more complicated though. 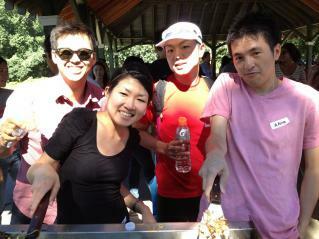 Wharton Japan Trek 2013 successfully finished! Thanks everyone who participated in the legendary trek! 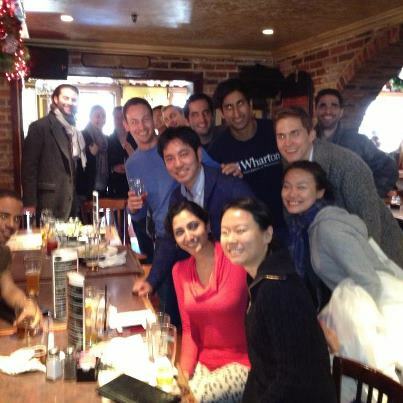 Upon finishing the 1st semester finals, 25% of Wharton MBA Program has just completed. My fellow Whartonites, thanks a million for making every day so special! Happy birthday, Peng先生!! I was delighted to join the celebration!! 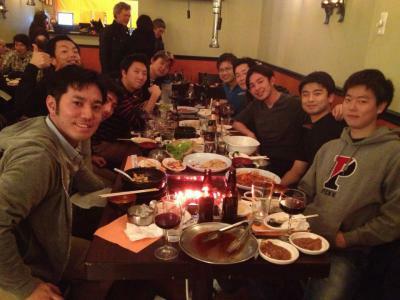 I organized Japan & Korea "guys only" dinner tonight. Yeah, guys only! 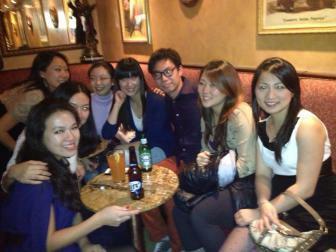 There are so many beautiful female students at Wharton and, as many of you have noticed, I am still immature enough to be fascinated with those girls in a few seconds :) However, I realized that it's time to deepen the relationship with male Whartonites and decided to hold the KOJA Guys Dinner! 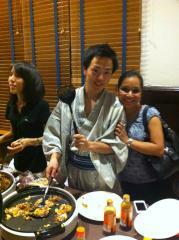 Long story short, it turned out to be a relaxing and exhilarating dinner! Our friendship was successfully strengthened. We need to bring this up to brotherhood by hanging out more frequently! 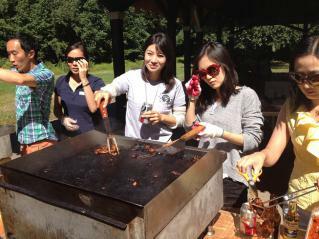 As self-appointed social rep of Japan Community, I'm gonna hold the similar events with students from America, China, Europe, India, SE Asia etc. Look forward to further bolstering friendship with you guys soon! Group picture of legendary Cohort I - I stands for intelligent, invincible and international! 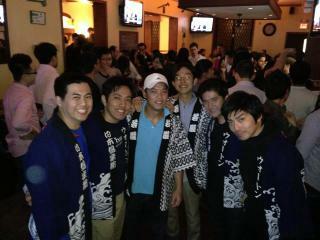 To my cohortmates, remember, I am the only Japanese and have added un-replaceable diversity to the cohort! Today I participated in a full marathon (Philadelphia Marathon) for the first time in my life and successfully completed the whole course (42.195km / 26.2mile)! I was definitely underprepared for the marathon as I trained for just about a month. In fact, I originally intended to join a "half marathon", however, after losing in the Asia Drinking Competition, I decided to run a "full marathon" to show my pride! Today's tough run reminded me of my high school days in an army-like baseball club... The baseball club banned us (the members) from drinking soda, using elevators/escalators and sitting on train seats for three years to improve our health. 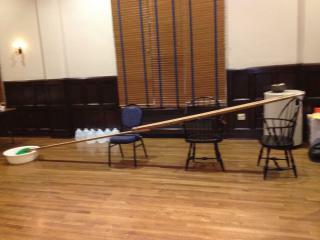 In addition, we practiced baseball before the beginning of classes, during lunch time and after the end of classes. 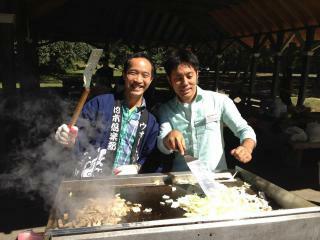 Thus, we needed to attend classes wearing uniform and to quickly eat lunch before official lunch time. I appreciated the baseball club for giving me the toughness with which I can run a long, long way even ten years after my graduation from the club! 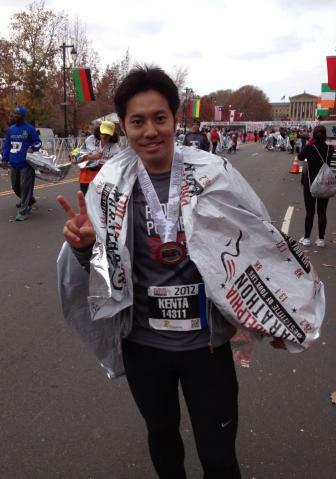 Finally, big thanks to Yuma, Lane and Yayoi for guiding me to the exciting world of marathon! 2012.10.15 Job Hunting got started! I officially kicked-off my job hunting activity today, by attending a reception of a strategy consulting firm. Deeply impressed by a young partner consultant. Got connected with brilliant people from other top schools. Sooooo excited! I know it's a tough process, but got an impression that I will somehow enjoy the job hunting season as I did at my undergraduate. I met many of my best friends during the job hunting season 5-6 years ago. Look forward to meeting new best friends and growing myself this time again!! Here I'll touch upon a little bit about my academic experience at Wharton, to address possible concern about my attitude toward academic training, which my family, friends and sponsoring organizations may have (I've posted too many pictures of fun events!). In the opening ceremony for Pre-Term, one of the academic advisors told to the 840 new students that "If you take "L" from Learning, it'll become Earning. 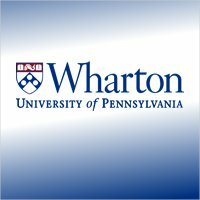 You know what you should do here at Wharton!” I bitterly smiled at this super-MBAish remark. 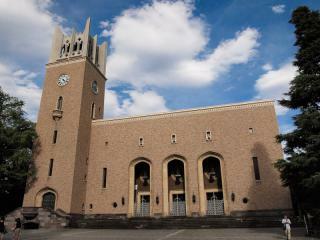 Compared to my undergraduate school Waseda University, where street-smarts tend to be more respected than book-smarts (Prime Minister Noda also graduated from Waseda), Wharton strongly emphasizes academic rigor and hard-skill development. At Wharton, after classes we intensively discuss among learning team in a group study room, once getting home we read through multiple reading assignments while analyzing some business cases with Excel to prepare for presentations. On the other hand, for knowledge-intensive subjects such as Finance and Accounting, we are given a fair amount of problem sets to solve. I still love and take pride in Waseda, but I feel it's fateful to study at Wharton, another great school starting with "W", and having complementary value for Waseda. Here at Wharton, I am committed to training myself to be a better-balanced business person. Bottom line:　Buddies, no worries! I am studying hard! 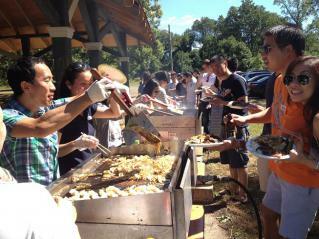 Under the exceptional leadership of David-san and Tae-san, Korea Club & Japan Club jointly gathered 150 people and 1 horse to the BBQ Party on 9/15! 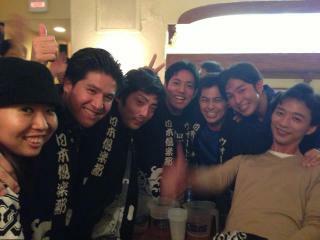 After cleaning up the site, we went to Karaoke. Since Japan and Korea are closely located, we know some music each other. 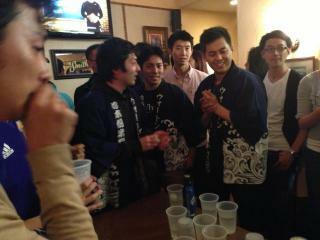 When my Japanese friend and I passionately sang "Ojapamen", a famous Korean song, all the participants got together! 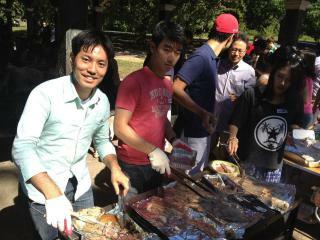 We, Wharton Japanese students & our friend Lane, successfully held Wharton Japan Night on September 7th! 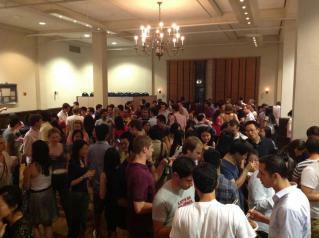 This event attracted about 250 people, which are about 1/3 of all Wharton 1st-year students. 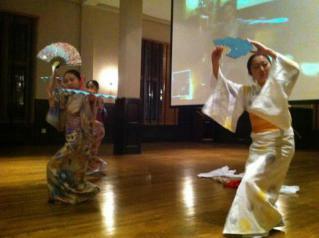 Contents of the event included, Japanese cuisine cooked by certified chef, Japanese traditional dance performed by 20-year career dancer, cool BGM played by experienced DJ, and Japanese tea ceremony of by cultural figure. All of those people are my "doki", same year students! 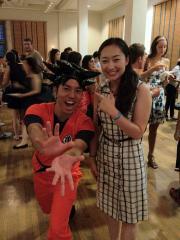 As leader of this event, I wore Dragon Ball's Goku costume, greeted each guest, hundled flowing somen noodle, and made speeches! Since the volume of the microphone was not that big, here I'll reiterate the point I made in my concluding remark. The biggest purpose of tonight's party was to directly showcase Japan's greatest value, ourselves, to you guys face to face. We hope you guys agree that the purpose was successfully achieved! 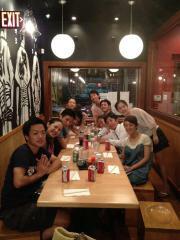 Thank you very much for having fantastic time with us!!" Back on August 16th, as Rotary Ambassadorial Scholar, I had a chance to conduct presentation to local influentials at Philadelphia Rotary Club. I will try to establish deep-rooted relationships with the respectable Americans through making academic and socializing efforts. 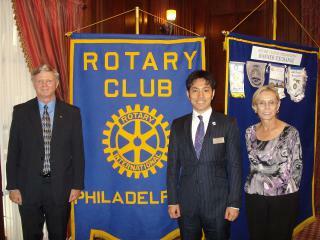 The lady and gentleman in the picture are Mr. & Ms. Batory who are superstars in Philly and kindly take good care of me! 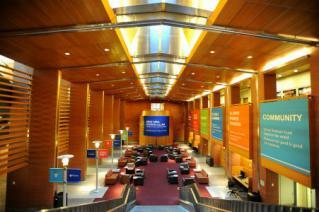 The Pre-Term finally started today, marking the official begining of the 2-year MBA Program at the Wharton School! Thanks a million for my family, friends, teachers, the firm and sponsoring organizations for helping me achieve my long-held dream to enter a top business school. I look forward to making friends with talented people from all around the globe and am determined to contribute to the dynamic Wharton community! 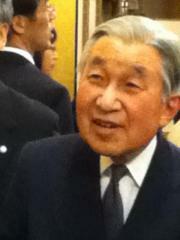 Back on May 25th, as a Fulbright Scholar, I was given the honorable distinction of being presented to the Japanese Emperor. The deep emotion I had when I felt the aura of the symbol of Japan was beyond description. I respectfully conveyed my resolution to succeed in my study in the US. 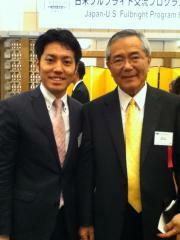 Afterward I had a chance to greet Nobel laureate Prof. Negishi. 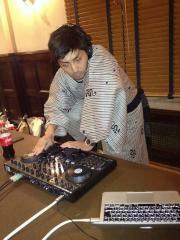 He also studied at University of Pennsylvenia on Fulbright Scholarship. As a person who will be sponsored by the US Government for my study, I respectfully greeted Ambassador Rooth. 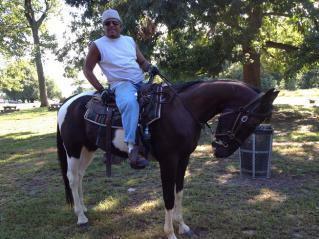 I explained to him on my recent job as an alliance officer at Morgan Stanley. Since my job responsibility of promoting the alliance between Morgan Stanley and Mitubishi Bank was a microcosm of his job responsibility in that I also tried to deepen the Japan-US relationship, he kindly showed interest in my story. I've just opened my blog. 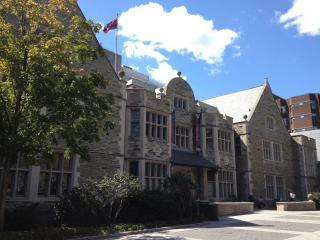 Will keep record of my life and thoughts during preparation period and actual MBA program. My biggest objective of studying abroad is "globalizing myself", both my business skillset and life experience. 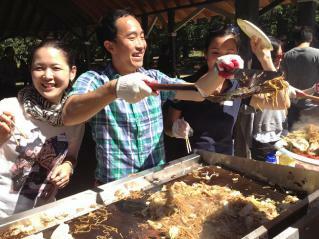 Thus I named this blog as "Self-Globalization Diary @Wharton". Admittedly this name is far from sophisticated, but I believe it to be straightforward enough! Copyright ©自分グローバル化日記@Wharton (Self-Globalization Diary) All Rights Reserved.